Ban Geert Wilders from U.S.
Say two U.S. Muslim Jihadists Congressman. government? Well here’s proof my friend. Dutch government representative Geert Wilders, pictured at right, who has become famous the world over for his strong stand against Islam, is scheduled to speak on Capitol Hill this month at the request of Representative Louie Gohmert (R-TX). However, there is a couple of American Islamic congressmen Jihadists who aren't happy about it, and have petitioned the Obama administration to ban Wilder from the US because of his anti-Jihadist position. Foreign Policy obtained a letter from Democrat, Islamic congressmen Keith "I'll take my oath on the Koran" Ellison (MN) and Andre "Let's model US public schools after Islamic madrassas and the Koran" Carson (IN). "We write to raise our deep concern regarding the visit of Mr. Geert Wilders, a Dutch lawmaker known for perpetuating Islamaphobia," the two stealth jihad congressmen wrote. "Mr. Wilders is scheduled to have a series of meetings in Washington next week. We respectfully request that the U.S. government deny Mr. Wilders entry due to his participation in inciting anti-Muslim aggression and violence." Seriously? It takes Mr. Geert Wilders to incite anti-Muslim aggression and violence? Can these two Muslims jihadists point to any instances of this or could we all simply point to the actions of professed Islamists for anti-Islamic sentiments? I think the latter is much more a picture of reality. The two congressmen appeal to the International Religious Freedom Act as a "precedent" for Mr. Wilders' ban. What about Mr. Wilders’ freedom? This typifies the one way thought processes of the Muslim ideology. It’s the Muslim way or no way. They then went on to claim that Norwegian Anders Breivik, who murdered 77 people in Oslo, was inspired by Wilders' speech. Of course, I don't hear them pointing to any Islamists who have uttered words that have upended entire countries and been the catalyst for thousands of deaths of Christians, non-Muslims and Muslims at the hands of those who follow the teachings of the non-prophet Muhammad. Have you heard them speak on that? Nope. They engage in taqiyyah, just like your Muslim Jihadist president Barack Hussein Obama and claim that those people aren't really following Islam. They are, but nevertheless, I don't see them restricting the coming and going of members of the Muslim Brotherhood and their sympathizers, either in the country or the people's own White House. "Mr. Wilders' policy agenda is centered on the principle that Christian culture is superior to other cultures," the two continue. "He justifies his desire to ban the Quran and Islam from the Netherlands with depraved comments like, 'Islam is not a religion, it's an ideology, the ideology of a retarded culture.'" Well, Mr. Carson and Mr. Ellison, Christian culture is’ superior to all other cultures, especially that of Islam. Why do you think America, in its founding (prior to the 18th century) was so great and prosperous? It was because both its culture and its government were clearly Christian. Just look at the Mayflower Compact and understand why America has been great. It's because America served the True and Living God, which she has since abandoned. The hypocrisy then flows from the pen of these two Hate-America congressmen. "In the U.S., freedom of speech is a bedrock principle that distinguishes free societies from ones living under oppressive regimes. Freedom of speech, however, is not absolute. It is limited by the legal and moral understanding that speech that causes the incitement of violence or prejudicial action against protected groups is wrong." Does anyone else not think that Christian groups are to be protected from the nonsense that Carson and Ellison are spewing with the blather in this letter? We've already seen a federal attorney threaten prosecution and imprisonment for telling the truth about Islam on social media. Furthermore, these men took an oath to uphold the First Amendment to the Constitution, which allows for absolutely no laws to be written by Congress (that's them) regarding speech. So, for them to be talking about free speech and then banning someone from the US based on their views of Islam is at best hypocritical and at worst seditious. These two Islamic Jihadists claim that Wilders being allowed into the US will "embolden him to engage in further incitement of violence and discrimination against Muslims." However, it seems to me that Mr. Wilders, at least when it comes to this issue, is a much-needed voice in our society. "Anti-Semitism and Islamophobia are sweeping through Europe. 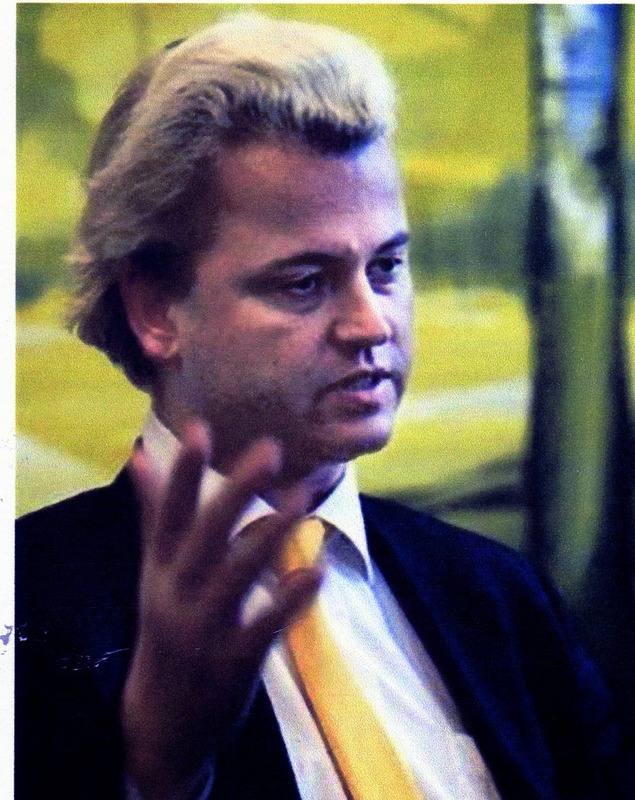 Mr. Wilders is among the hateful leaders responsible for perpetuating prejudice. Allowing him to enter the United States will cause harm to our nation that values religious freedom and respects pluralism." I confess that I have absolutely no respect for pluralism. After all, as a Christian, the Bible commands us to have no other gods before the true God. However, Wilders is not the man responsible for anti-Semitism. Islam is doing quite a good job and you can hear it from their own mouths across the globe. They hate those that call themselves Jews and they hate Christians too. As for the claim of Islamophobia, Carson and Ellison would do well to listen to Ned May of the International Civil Liberties Alliance (ICLA), who said that the claim of "Islamophobia" is "a violation of logic." He then points to the many Muslims, who are afraid of the Islamists who actually believe what the Koran teaches and then act on that teaching to murder the infidels and hypocritical Muslims. As for Wilders, he told De Telegraaf, "In my speeches, I'll tell the American colleagues of the dangers of Islamization." Wilders was formally charged in 2010 and 2011 with inciting hatred and discrimination in the Netherlands and is currently facing hate speech charges. And why? It's simply because he boldly told the truth about Islam. Wilders is one among many representatives worldwide who will honestly point out the dangers of Islam. Others include Australian Mal Brough, France's Marine Le Pen and Switzerland's Oskar Freysinger. Frankly, I prefer the likes of these three people to those of the ideology of Carson or Ellison. I can’t help wonder just what Obama is going to do…I know what he would want to do, he will have to ban Wilders without drawing attention to the fact that he himself is a Muslim hate America Jihadists. THE BOTTOM LINE: The three Stages of Islam, if you didn’t watch the video above about the three stages of Islam I strongly advise that you do so. You will discover why I say there is no such thing as a moderate Muslim and the worst source of the truth of Islam is a Muslim, because most Muslims are themselves deceived about Islam. It is not just a few who have hijacked a religion, it is a few who know what Islam is all about. Whether you are a Muslim a Buddhist a Jew or a Christian, if you are serious about learning the truth and what Islam is really all about I’d suggest that you go to Answering Muslims. Read everything you find, get an education, otherwise you will remain willfully ignorant, you will remain willfully deceived, and you will do nothing but enable your own destruction.